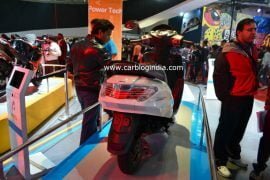 Hero MotoCorp, which has been the leader of the Indian 2 Wheelers market since time immemorial, has come up with a couple of new scooters for the fast growing Indian Two Wheelers market. 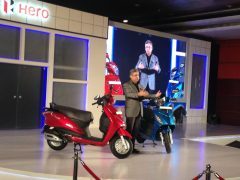 Unlike the current crop of Hero models, all the new and upcoming Hero bikes in India will be powered by its own motors. 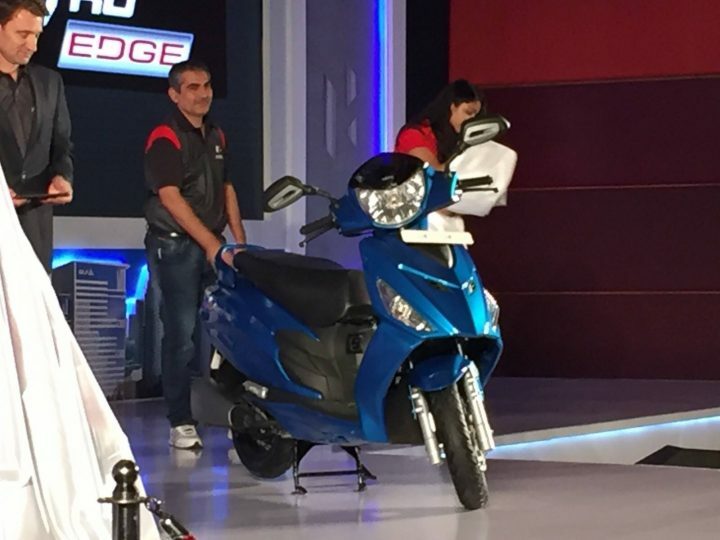 The new Hero Maestro Edge boasts of an all-new engine and chassis. 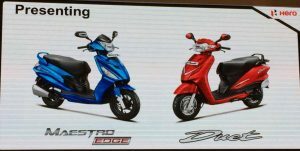 The Maestro Edge is nothing but the Dash 110cc automatic scooter that was earlier caught testing around Hero’s plant in Haryana. The Dash was earlier showcased at the Auto Expo 2014. 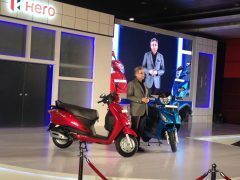 The Hero Maestro Edge launch took place alongside the laucnh of the Duet. Rush to your nearest Hero MotoCorp dealership to test ride the new automatic scooter. Hero Maestro Edge price is kept at INR 49,500 (ex-showroom, New Delhi). 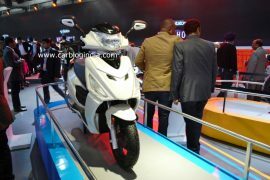 The Dash will be a direct rival of the hot selling Honda Activa. Unlike the Pleasure, which has been targeted solely at the female clientele, the new Hero Maestro Edge should appeal to both the sexes. That said, it won’t be too wrong to say that the Maestro Edge, much like the Honda Activa, would target middle-aged men who are in the market for full-grown scooter that can be used for commuting and to run an errand. Powering the Hero Maestro Edge automatic scooter is Hero’s first-ever homegrown engine. This motor displaces 110.9 cc and has a max. power of 8.43 PS at 8,000 rpm and a peak torque of 8.3 Nm at 6,500 rpm. This single-pot, air-cooled petrol motor comes mated to a CVT. The scooter is likely to have a true top speed of around 102 km/h. The Maestro Edge boasts of telescopic front forks. Also, while it will have a 12-inch wheel at the front, the rear wheel measure 10 inches in diameter. Both the wheels will come shod with 90/90 spec rubber. The scooter will have drum brakes at both ends. However, we are hoping that Hero would launch a front disc brake variant in near future. Hero Maestro Edge comes with 5 year warranty.